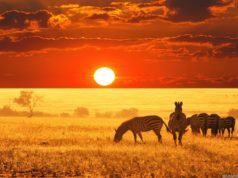 Dare to travel off the beaten track, Tanzania is so much more than Serengeti, Zanzibar and Pemba Island and whale shark safari in Tanzania offers an experience of your lifetime. In the shadow of Zanzibar lies an almost unknown island – Mafia Island. It is an unspoiled gem with long pristine beaches and white sand which is so fine that it squeaks like potato flour between your toes. But above all, there are many whale sharks here. Tourists are usually heading to Arusha Serengeti Ngorogoro in Zanzibar and then take a trip to the island of Pemba – but they miss Mafia Island. Udzungwa Mountains National Park is also often overlooked. Here you can stay overnight in tents at high altitudes, among monkeys, birds and waterfalls. 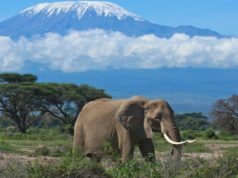 Tanzania certainly has more mountains than Kilimanjaro to offer. Ruaha is Tanzania’s one of many national parks that have been overlooked for Serengeti. 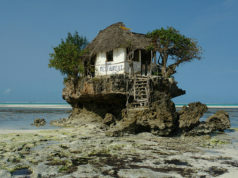 Mafia Island is often described as Zanzibar used to be 30 years ago, with white sandy beaches and crystal clear waters. 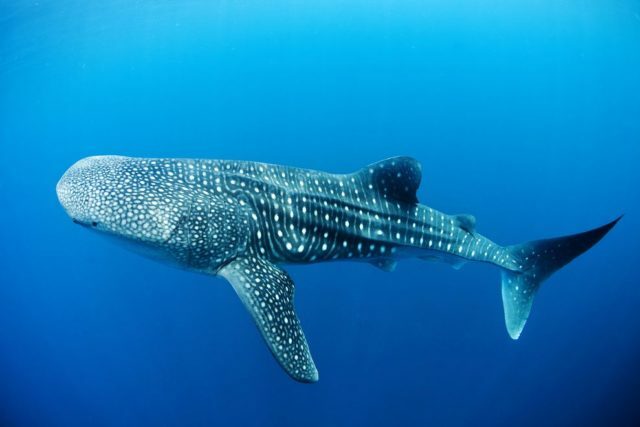 But it is presence of whale sharks that makes it extraordinary. From October to November, world’s largest fish are spotted just outside the Mafia’s west coast. It is plankton cravings that attract more than ten-meter-long animals up to the surface. The Mafia Island looks really like a paradise. Kilometers of pristine beaches right outside small and cozy bungalows. An accommodation where walls and doors are replaced with white cotton fabric, where the boundary between inside and outside become blurred. You can fall asleep and wake up to the sound of waves and all the other sounds of nature. 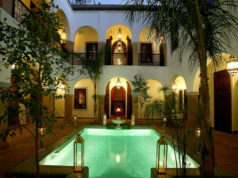 The atmosphere in those small resorts is warm and the food – three dishes for lunch, four for dinner – excellent. The beach and surrounding nature (and culture) differ a lot from the mainland of Tanzania. The sand is as white as sugar, here and there you find fallen palm trees polished smooth by the tide. If you go south you will meet mangroves at high tide and adorable sandbanks in the middle of the emerald-colored sea at low tide. Go north and you will end up in a small fishing community that still is so isolated that a pale face attracts great curiosity and friendly attention. But you also see heads and shields from large sea turtles caught and devoured here and there. Likewise, many severed tails of stingrays. For those who need rehabilitation from shopping, it is difficult to imagine a better place. On this side of the island there is absolutely nothing to buy. There are a couple of simple restaurants with local seafood but do not expect more. On the other hand, there are plenty of reefs and dive sites. Beaches of Mafia Island belong to a marine park. If you want to stay near the beach on the island you have to pay a park fee of $ 20 per night – whether you plan to dive or not. The reefs and diving are amazing. As in many places where tourism has not yet been developed, you can not ignore the fact that you are in a developing country, for example, the garbage disposal means that you sometimes throw rubbish where you stand and it is not collected in piles. We took a boat trip one day while staying on Mafia Island with a hope to swim with whale sharks. Suddenly, we were quietly asked to put on our mask, snorkel and fins. 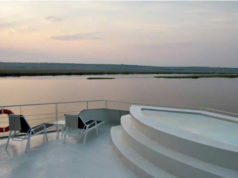 Just a few meters from the boat, we could see the outlines of a very large animal. We ended up in the water just a few meters from a stunningly beautiful whale shark. We got really close to the animal so sometimes we had to slow down in order to avoid being struck by his quiet swinging tail. Finally, the whale shark swam away and we got back on the boat. That has not yet become an industry where boats are lined up carrying crowds of divers. The boat crew made it very clear: we are here on whale shark´s conditions. When we see an animal we stop the engine and hope that it wants to hang with us for a while. To follow a whale shark is out of the question.